James Myles Knox Law, GF. James Myles Knox GF - Birth Certificate 1894. All children born to Thomas Law GGF and Janet Myles in Fife, Scotland were registered in surname 'Knox'. 6 Gladstone Road Cottage, North East Valley, Gardens. One of the addresses where the Laws' lived in Dunedin. Marriage Certificate Thomas Knox (GGF, really Law) marries Janet Myles, Kirkcaldy, Fife, 1892. John Law GGGF and father of Thomas above marries Janet Jamieson, Kilsyth, Stirlingshire, 1871. This is 10 months after the birth of their son 'Thomas' GGF - see birth certificate below. Thomas Law GGF birth certificate, states 'illegitimate', born Backbrae Kilsyth, Stirlingshire, 1870. The first son of John Law and Janet Jamieson. First Scottish Census 1851 after the Laws returned from Ireland. Thomas Law GGGGF, Margaret Law (m.s. Knox) and children John, Ann, Alexander all born in Ireland. 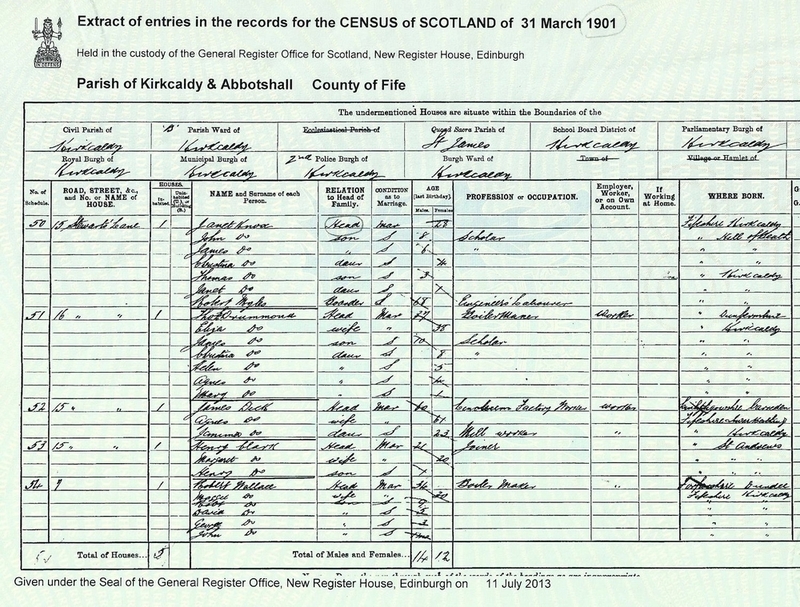 Scottish Census 1901, Thomas Law GGF and family now all Knox. Janet (wife) is Head as Thomas not there and x5 children, including James GF age 6yrs. They are living in 15 Stewarts Lane, Kirkcaldy, Fife. Scottish Census 1911, Thomas GGF, wife Janet and x9 children, surname is still Knox. My GF, James Knox is 16 years old and a coal miner along with his father and brother John. They are living in 23 Smeaton St. Kirkcaldy, Fife. GF James (Knox) is now using James Law as seen on his Demobilization Certificate from the Royal Highlanders in 1918. He enlisted on 9 August 1918 and was discharged 14 December 1918, a lucky, short stint as a 'Private' before the war was over. Margaret (Law) Gardner emigrated most probably on the Remuera steam ship, operated by the NZ Shipping Company Ltd, on 19 December 1912 from the Port of London with children, John, Robert, Thomas and daughter Margaret, listed separately. The route went via Tenerife (Canary Islands), Cape Town, Hobart then on to the NZ Ports. The Panama Canal had not yet opened and was used by other Shipping Lines from 1916. 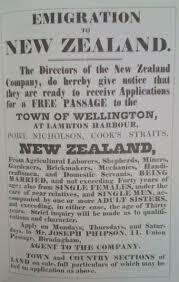 This type of advertising may have been tempting for immigrants to NZ. Margaret (Law), Robert Gardner (husband) and older children came first to Wellington. 1900 - 1915 were boom years for NZ immigration prior to WW1. 120,000 came of which two thirds were from Britain and over 20 per cent of these were Scottish. GF James and GGF Thomas Law, I am told, did not have a free passage to NZ, they paid their own way. in 1922. 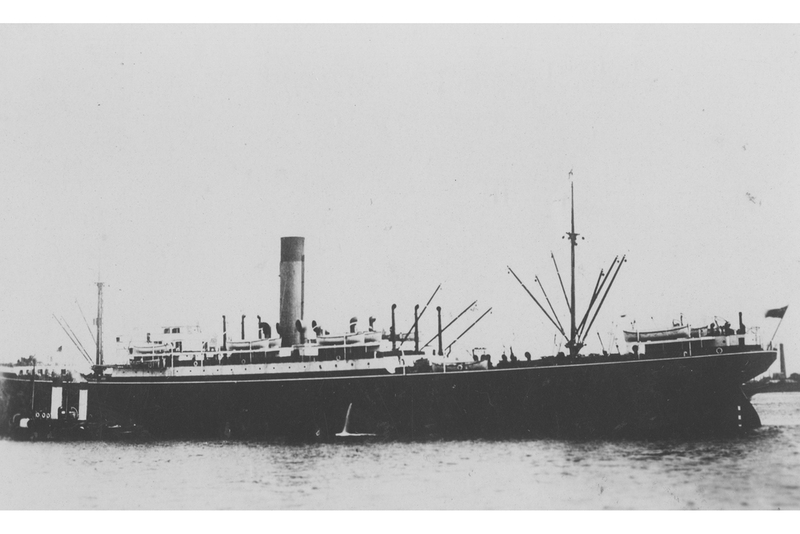 'Pakeha' steam ship which brought the Laws Thomas GGF, James GF and family to Wellington, NZ, They left from Southampton, UK on 19 January 1922. Three daughters were on a different ship, the Athenic. Pakeha - owned by Shaw Savill & Albion Shipping Company Ltd.
Pakeha Passenger List, 1922. Janet Law, Sam, Florence, Thomas Law GGF, Robert are listed at the top of the page. All are third class passengers and 68 Overton Rd is their last address in Kirkcaldy, Fifeshire. 'Athenic' steam ship. Margaret Law 20, Janet 22, Christina, 25 yrs. the x3 older daughters of Thomas Law GGF left on this ship a week earlier, than the rest of the family, 12 January 1922 from Southampton to Wellington, NZ. 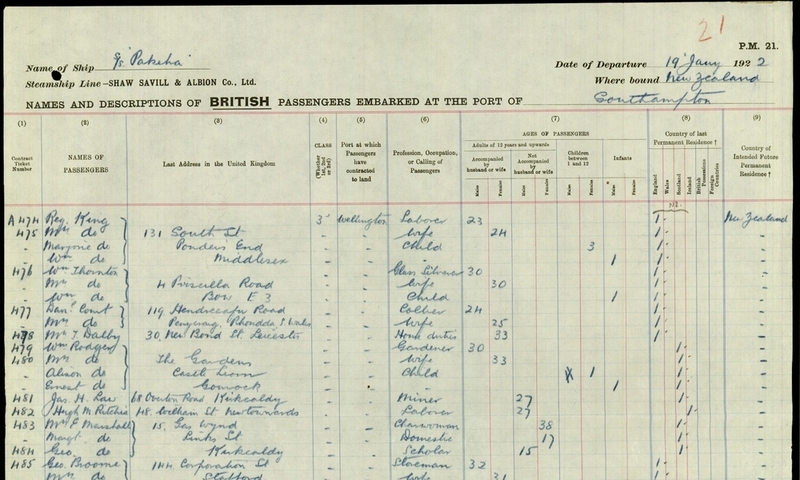 Passenger List, Athenic steam ship. The three older daughters of Thomas Law GGF, Margaret, Janet and Christina, came together on the Athenic. Third class and classified as 'Domestic' workers, 68 Overton Rd their last address in Kirkcaldy, Fifeshire. My interest in the history of the Law family was always important to me. It started as a straightforward task but has turned into a lifetimes’ fascination of ancestors who were brave enough to leave their old country and settle in a ‘New World’ thousands of miles away. Where did they live? Why did they leave? Where did they go? My journey began in 1979 when I left NZ in search of my roots, particularly my Scottish Grandfather (GF), James Myles Knox Law who came to NZ in the 1920’s. He left Scotland in search of the new world but now it was my turn to find the old world. Not only did I find more information about him but discovered stories of his father and fore fathers. I had always thought I was a ‘Law’ but as I ventured further back into the family history I became Lawless! Was my ancestral surname Law or Knox or something else? To remain longer in the UK on a NZ passport, I chose to establish the lineage back to my GF from Scotland on my father’s side of the family and needed original copies of certificates to prove my line of descent to the Home Office. I had gathered all the documents required but could not find a crucial piece of evidence, my GF’s birth certificate. There was no James Myles Knox Law anywhere it seemed! I could not prove ‘Law’ Paternity but would not give up hope. NZ death certificate - I located this information which confirmed he died in Dunedin in 1951, age 56yrs. He had a coronary thrombosis and cardiac failure but suffered chronic bronchitis, emphysema and asthma which led to his early death and was typical of those whose occupations were coalminers. The Death certificate also stated he was born in Hill of Beath, Kingdom of Fife, Scotland and had been in NZ for approximately 30yrs. These were vital clues as to where to start looking for more birth information and for dates of his emigration to the UK. The General Register Office for Scotland in Edinburgh was a place I turned to for help, they are now part of ScotlandsPeople and access to birth, death, marriage, parish and census records are available either on site or remotely. Back in the 1980’s, I couldn’t easily travel to Edinburgh or use the internet, so I had to write and telephone to persue my search. After what seemed an age, one day a letter arrived from New Register House, Edinburgh saying that a match of dates and places in the Parish of Beath had been found but the surname was Knox, not Law? James Myles Knox, born 11 Sept. 1894, 49 Hill of Beath, Parish of Beath, Fife. Lack of facts – I needed more evidence as to why James Myles Knox and his family changed name so I set about re-examining what information I had and resolved to seek out the truth! After the revelation my GF was a born a Knox, I went back to the family and started asking more questions. My father had no idea, neither did his brothers and sisters but my mother thought a very elderly Aunt Maggie on my father’s side may know more – she did. His mother died when she was about 21 yrs, she had x3 children including my GGF and they went to live with a lady called Mrs Knox. (she may have been the housekeeper?) My GGF took the name of Knox, got married under the name of Knox and his children i.e. my GF were born ‘Knox’. Years later my GGF added Law on to Knox but never changed the childrens’ birth certificates. This plausible theory substantiating my GF’s birth certificate in the name of Knox could be correct and allow Paternity to be granted? I submitted all Certificates to the Home Office and waited with fingers crossed! Could I stay or would I go… In 1981, I was ‘Given Leave to Enter the UK for an Indefinite Period’ – I could stay! I visited Hill of Beath, Fife where my GF was born. It was bleak and cold and I imagined the grim life for those who had toiled down the local coal mines. Perhaps I was beginning to understand why they considered opportunities to go to the 'new world' and a 'new life' in order to change. All they had to do was endure long sea journeys to the other side of the world and live on hope. For years, on each successive trip to NZ, every 12-18 months, I asked ‘Law’ family members to try and recall anything relevant they could think of. A minor breakthrough came when looking at old family photos as it seemed my grandfather had brothers and sisters in NZ I never knew about, so he didn’t arrive on his own? Another breakthrough came when my mother remembered a cousin of my father still lived in Dunedin and invited him to her 80th birthday party. This was wonderful as he had very valuable information and recommended I speak to his eldest sister, now 94yrs, as she may have been on the ship that arrived from Scotland. My Mum convinced me she would not know anything so I resisted calling her for some time but it is such an important lesson to learn that you must contact the oldest living relatives. Thinking laterally is useful, people hardly ever live in isolation and it is easy to forget there may be ‘other’ family members who could have valuable clues in the search. Be prepared to listen carefully and have your questions ready! It would have been easier to be face to face as when referring to dates/places/people it can get very confusing. I also arranged to call back at a convenient time to recheck the information and discuss other questions that arose during the first conversation. She thought my GGGF John Law and his wife Janet Jamieson had an illegitmate son, Thomas. Perhaps the surname Knox was then used by John, his son Thomas my GGF and the next generation i.e James my GF. I was told the whole family from Kirkcaldy, Scotland, emigrated to NZ and there were approx. 13 family members (x2 died in infancy). The oldest living relative was 2 years old at the time and the ship they came on was the ‘Pakeha’ which arrived at Port Chalmers, Dunedin in 1922. It was a good lesson in ‘double checking’ the shipping records and information from family as the ship arrived at Wellington in 1922. There was another sailing from Liverpool to Port Chalmers in Feb. 1923 but this was not the voyage which brought my ancestors. The oldest living relative was actually the daughter of my grandfather’s brother, John, who married Elizabeth Mitchell MacKay in 1919 before he left Scotland with the rest of the family. The 'family' also lived in a stone cottage, in Gladstone Road, Dunedin just round the corner from where my mother lived. I was told that a possible reason for the name change to Law was due to desertion from WW1? My GGF, Thomas Knox had objected to the War and did not want to fight. It was after he was given amnesty to return to Scotland that he may have changed his name to ‘Law’ by depol? I approached Scotlands people, New Register House to see whether a name change had been recorded after the WW1 by Thomas Knox to Law but no such records could be found. If names have been changed formally, an annotation, RCE, register of corrected entry, is added to the birth certificate. There was no evidence of this so far for Thomas Knox. It is worth noting that different family members may tell a slightly 'different' story so beware when information is provided and look for the evidence to back up any claims. Second eldest living relative and descendent of John Law (first son of my GGF, Thomas). Thomas was home on leave in Scotland from India, deserted the army and married Janet Myles. Other descendents of John (Thomas's first son) also said that Janet Myles was pregnant and he took responsibility for this and married her. The family firmly believe that this was when the surname changed to Knox. They went back to Law when amnesty was declared for deserters sometime later or when it was considered safe to do so. Desertion was a serious crime (possible death if caught) and therefore a strong motive for name change. Thomas Knox and Janet Myles married on 26 August 1892 in Kirkcaldy, Fife. On careful checking, their first son John Knox was born five months after the marriage on 23 January 1893 and proof an illegitimate birth was avoided. It must be noted that Thomas and his father John were already using surname Knox in 1891 when they lived with his Uncle Alex who was also using 'Knox'. They may have changed their surname due to the times they lived in. When they left Ireland after the potato famine and worked in the mines of Scotland, the Irish were not favoured and perhaps they took their mother's surname Knox as it sounded more Scottish and enabled them to avoid discrimination. This theory suggests the Laws were Irish or may have sounded Irish but there is no evidence to support this so far. Law is not considered an Irish surname and when Thomas Law, wife Margaret Knox returned from Ireland to Dalry, Scotland with their first three children in approximately 1850, they were recorded with surname Law in the 1851, 1861, 1871 census. 20-30 years had therefore gone by before the surname 'Knox' was used first by Alex recorded in 1881 census and John and son Thomas in 1891 census. Results of my Ancestral DNA ethnicity tests may also help to prove or disprove Irish origins. This proved a wonderful event and opportunity to observe the extent of family history resources now available. Although I did not make any breakthroughs, in terms of my own family story the first time I attended such an event, the lesson I learnt, which helped my research, was that x2 sources with identical information are required to ‘corroborate evidence’. The 'search process’ can throw up all sorts of information which looks plausible but unless you have another piece of evidence for validation, you can find yourself on a route to even more confusion. National Library of Scotland in Edinburgh, can help provide genealogical information. Local libraries can be useful for information on people, their occupations and social history. Reference Libraries have ‘indexes’ and trade directories. Scottish Museums are good to visit and there are over 265 to choose from across Scotland. I particularly liked the Folk Museums which give a real sense of how people lived e.g. the main Fife Folk Museum at Ceres. There are other local museums e.g. the Kirkcaldy Museum which can help with family history information and have ‘collections’ from the past e.g. coal mining which tell the story of the people in Fife. I now knew the name of the ship, the ‘Pakeha’ my GF and other members of the family came to NZ on but I needed evidence of the departure from the UK and arrival in NZ. I was also desperate to locate the Passenger List of the vessel. After many months, I was lucky, as it can depend on what version of the name you search under. I checked UK embarkation Passenger Lists which confirmed the 'Pakeha' sailed from Southampton to Wellington on 19 January 1922 and found entries under Law!! all Third class passengers. I searched very carefully as all the family were not listed together on the Pakeha. My GF James (Jas) Law was listed on his own, entry 481, in the Passenger List, so it is possible he decided at a later date to join the rest of the family on the voyage. On checking further, x3 of the girls, Margaret, Janet and Christina actually came on another ship, the Athenic which left Southampton for Wellington a week earlier, 12 January 1922. Ports of disembarkation records are also useful for journey validation and National Archives NZ can provide information of 'ship' arrivals. Sometimes the records or passenger lists are not complete so caution is needed. It proved the Pakeha, a steam ship owned by Shaw Savill & Albion Co. Ltd. did leave Southampton on 19 January 1922 and arrived in Wellington on 1 March 1922. 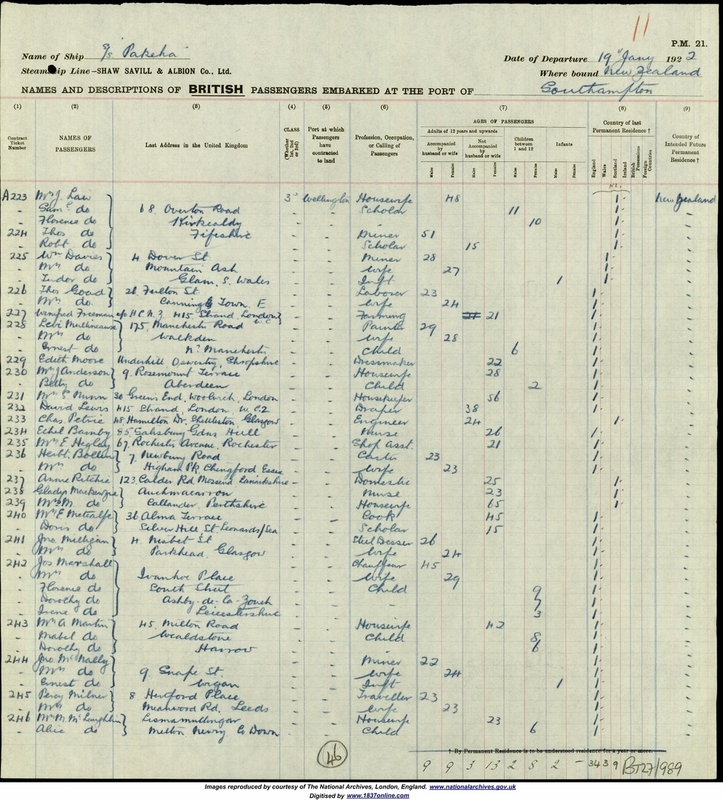 National Archives NZ had records of the Athenic arriving on 20 February 1922. National Archives Kew (UK) can have similar information or refer you to websites such as Ancestry and FindmyPast. It is not necessarily so that Scottish emigrants left from Scotland so you must keep all options open and search the various Ports of embarkation in the UK or search by Name of Ship. As the Pakeha was a steam ship, see History Incredible Journeys, the journey time was faster than the previous sailing ship passages to the New World which were typically 100 days. The Pakeha took about 40 days (6 weeks) and the route to NZ went via the Panama Canal which connected the Atlantic and Pacific oceans. Sometimes it called at Auckland, Wellington and Lyttelton on the way down the coastline to Port Chalmers, Dunedin in the South Island. Often terrible storms would arise and continue for days. Passengers would be ill as the huge seas tossed the ship, infants were born and died on board. Prayers were said for the safety of all and the ‘cargo’, as if it moved, all lives could be in danger! The Hocken Library is a great resource in Dunedin, New Zealand for family and social history. 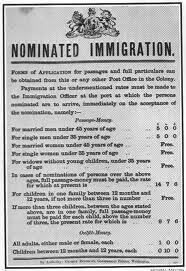 They have shipping and Immigration records between 1860 -1888 and can also search entries in the provincial newspapers, e.g. The Otago Daily Times for ship arrivals at Port Chalmers, Dunedin. Toitu Otago Settlers Museum - a fantastic, refurbished museum and resource of historical information in Dunedin. A visit is very worthwhile to better understand early settlers ‘sea voyages’, the social history of how people lived and worked. I spent time in the ‘Research Room’ looking for Immigrant Ship records regarding my ‘Law’ grandfather but the records covered ‘earlier settler’ arrivals and ships in the 1800’s. This was to prove a great benefit for future research on a lineage on my mother’s side of the family however. Cemetery and Grave Locations – I discovered the exact grave location of my grandfather via the Dunedin City Council website which also listed other family burials in the Plot but the info did not further my investigations. My GF’s parents’ names were given on his Birth Certificate, Thomas Knox and Janet Myles as well as a date they got married in Kirkcaldy, 26 August 1892 and I also had a match of these names on his NZ Death certificate, apart from the fact, the surname ‘Law’ replaced Knox! It seemed a good place to start so I set about using the Internet (now available) to see what I could find. Internet searching – There was a minefield of information the first time I searched for ‘tracing family history’ and the James Myles Knox, Fife search resulted in 182,000 hits. I was stunned but determined to find a way through this and spent many hours looking at the various Family History, (FH) websites. FamilySearch was a good free site and proved useful. There are many other websites, see Resources section and advice would be to establish what you like using and get to know them well. Also try and think like a ‘detective’ as you will save time and money and gather as many of the facts as you can before searching! Luckily I tried the Scotlandspeople site early on and this proved very helpful but soon realised Passwords were needed and that there would be ‘a charge’ for nearly everything! You can search for ‘free’ but a credit/debit card is needed to generate credits to ‘view’ or receive a hard copy. I quickly discovered that you need patience and must ‘search’ and ‘filter’ in different ways to be successful. Often it is good to write your objectives (names, dates) down so you can tick them off once completed, even if inconclusive. Census Searching - Scottish census was very useful and e.g. in 1901, I found James Knox, age, 6yrs living with his Mother Janet, brothers John, Thomas and sister’s Christina and Janet at 16 Stewarts Lane, St James Parish, Kirkcaldy. His father Thomas, was absent at this time. In the 1911 census, James was 16 yrs living at 23 Smeaton St, Kirkcaldy with his mother and father and x8 other brothers and sisters, they were all still Knox! As I knew the date of his parent’s marriage, (from his Scottish birth certificate) I was successful in finding the Marriage Certificate of James’s parents, my GGF, Thomas Knox to Janet Myles, which took place at the home of Janet, 28 Charlotte St, Kirkcaldy, 26 August 1892 after Banns according to the Established Church of Scotland. This certificate also provided the names of my GGF’s parents, John Knox and Janet Jamieson and her parents, so I was now on track to tracing my GGGF, John Knox. It is so rewarding to find ancestor’s and evidence! The surname Knox was still being used however and I was no closer in discovering why! I also discovered the children born to John Knox and Janet Jamieson were all registered as ‘Law’. Thomas, illegitimate in 1870, Margaret in 1872 and Alexander in 1874. I also discovered, Janet Law (Jamieson), died tragically later in Nov. 1874 of Tabes mesenterica, (TB from milk), so part of the first theory was correct! I did not think you could combine this amazing event with family history but when in Edinburgh I could not resist the opportunity. My husband headed for a suitable bar close to the Royal Mile and I headed for the National Archives of Scotland to try and find more answers to my questions including my GGGF’s marriage, death and Janet Jamieson’s death certificate. I took a 2 hour ‘taster session’ which is free to search the records but the outcome was inconclusive. I needed to recheck my dates and try again. I know now that I would have been successful if I had searched in the Name of ‘Law’ for my GGGF’s marriage certificate. At a later date I located this evidence, John Law married Janet Jamieson, 14 April, 1871 at Kilsyth, Stirling after Banns, Wesleyan Methodist Church. This data also gave me John Law’s parents, Thomas Law and Margaret Knox (deceased). It appeared the further I went back in generations, the surname Law reappeared? I also noted the maiden surname of Margaret Law, my GGGGM was Knox! Photo Fortune - miracles can happen and I was over the moon when a family photo of the Knox/Law family arrived from the sister of my GGF’s son’s son, Alex. It had been lost but then found and was taken in Scotland before the family emigrated in 1922. There they all were, my grandfather, James, his brothers’ John, Thomas, Alex, Robert, Sam and Willie, sisters Chris, Janet, Margaret, Flora and his father Thomas and Mother Janet. The family were all in their ‘Sunday best’ clothing including Thomas but he looked distant. What was also intriguing about the photo is whether the family members were calling themselves Law or Knox? I had already tracked down many of this family via the NZ BDM records and new Thomas, my GGF had died in 1926, age 58yrs from acute alcoholism in Wellington Hospital, New Zealand but had lived in Gladstone Rd, Dunedin. NZ Electoral Rolls – were a useful resource for where my 'Law' family lived and died in Dunedin but much electoral roll info. has been destroyed unfortunately. NZ Newspapers were helpful e.g. death notices. NZ Cemeteries are a good on line resource regarding burials. Scottish Cemeteries can be a fantastic resource as sometimes access to Burial Registers are available and the Names of the 'Lairs' can be searched which is a lot easier than combing the whole graveyard. Headstones can be very difficult to read or are damaged and if the ancestor came from a poor family there may be no headstone and they may be in consecrated communal 'poor grounds'. UK Newspapers may also prove useful - see Resources. Meeting Oldest Relatives – on my next visit to NZ I was able to see and share more information with them. Meeting New Relatives – I was able to meet new younger members of the Law family in NZ I never knew I had due to the ‘hospital coincidence’ above. This was wonderful and we have developed more of a ‘team approach’ now as they are researching the ‘wider family’ in NZ and I can persue the social history and ancestors in the UK. Musical Laws - My father and brothers and sisters loved to ‘sing’ whenever they got together and my new relatives confirmed how musical other Law family living in Dunedin, NZ were also. The brothers of James my GF, Alex and Thomas played in a band and old photos confirmed they played instruments, cello, violin, saxophone, see Law Gallery. The sisters of my GF used to sing and play also and loved family concerts. Forums, Feedback and ‘On Line’ Family Trees – Having spent many hours ‘searching’ databases and archives on my own to slowly unfold the Law Story, I decided it was time to delve into genealogy forums and ‘on line’ Family Tree information that may help to fill in gaps. Distant branches of family researching another related lineage ‘on line’ may be able to provide information and other clues. Rootschat forum provided some very helpful comments and is free of charge! It did however take some time to get started on the website and required infinite patience to find your way around. ‘Signing up’ to pay for database searches on other genealogy websites. Please be aware that some of these sites automatically renew your monthly or annual membership so watch out! Irish Connection – I found further evidence that John, my GGGF and his father Thomas were born in Northern Ireland. In fact I was beginning to think I may be of Irish origin as I had evidence of 7 generations of Laws dating back to about 1790 due to other related family trees. I had also identified this on the death certificate of Thomas, my GGGGF who died in 1872 in Scotland after returning from Ireland. The reasons for migration to Ireland and return to Scotland will be covered at a later date due to the interesting social history of the time period including the Ulster Plantation and Potato famine. Poor Law Relief Applications - if ancestors were eligible, documentation held in county Archives, can give vital clues as to their circumstances e.g. birthplace, previous addresses, age, dependents, religion, marital status, parents names. I researched whether Thomas Law GGGGF who returned to Dalry from Ireland about 1850 and his son John Law GGGF who died in Harthill Lanark in 1899 had applied to try and find evidence of where in Ireland they lived, but had no success. 'On Line' sources helped to fill in gaps and also highlighted other facts in my hard copy records. Thomas Law, my GGGGF (who married Margaret Knox) and Thomas Law, my GGGGGF both had connections to the same family? Margaret Knox’s mother was Ann Graham and Thomas Law my GGGGGF married a Susan Graham? I also thought there must have been a mistake when I looked at the 1851 census ‘on line’ as it stated (my GGGGF) Thomas’s mother was Susan McKrae and living with them in Dalry Ayrshire. I did verify her surname ‘McKrae’ in another source and decided it was quite possible Susan (Graham) had married again after Thomas had died and been widowed again! All is not what it seems sometimes and one must think laterally. ‘On line’ census info from some Family Tree sites (rather than hard copy) transcribes what is on the census page so be aware mistakes can be made with spelling or age. Name change LAW to KNOX 1881-1891 Wilderness years! Census 1881 my lineage, John GGGF his son Thomas (my GGF) and daughter Margaret, were living in Kirkintilloch, Dumbarton with John’s brother, William and family - all were Laws. By Census 1891 they had changed name to Knox and John and son Thomas my GGF were living with John’s brother Alexander in Beath, Fife. Everyone in the household were called KNOX. Alexander however in 1881 Census was living in Dunfermline, Fife and already a Knox!!! I have explored some of the motives for name change outlined previously but with no definitive conclusions so far. Criminal activity - new information suggested John Law (my GGGF) was held in Dublin Kilmainham prison in Jan. 1874 for drunken behaviour and use of profane language but this has not been validated and now seems unlikely. His wife Janet Jamieson died in Nov. 1874, he registered her death and was left a widow with x3 children, (Thomas my GGF, Margaret and Alexander only 10 months old). He then went to live with different brothers in Scotland, William and Alex as seen in 1881 and 1891 census. Thomas (my GGF) was born an illegitimate child in 1870 and John his father (GGGF) registered him as Thomas ‘Law’ on the birth certificate and John and Janet Jamieson married as Law in 1871. Thomas (GGF) had reverted to the name of ‘Knox’ however when he married Janet Myles in 1892 and his large family @12, my GF James being the second eldest son, were all born as ‘Knox’. Margaret, the sister of Thomas, my GGF, was a domestic servant and also had an illegitimate child in 1892 in New Monkland, Lanark repeating the pattern of her mother, but did marry in Scotland before emigrating to NZ in 1912, at least 10 years before the rest of the family. She and Thomas were close as they had lost their mother at a very early age. The illegitimacy theory does not hold up as a good enough motive for name change. The name change to ‘Knox’ affected certain members of the wider family but not all! It is first noted with John and Alex. born in Ireland, the two elder sons of Thomas Law, my GGGGF and Margaret Knox. Census 1881 confirms Alex, living in Dunfermline Fife was the first to change his name to Knox. John Law (GGGF), now a widow with son Thomas, daughter Margaret and living with his brother William in 1881 census in Kirkintilloch and still ‘Law’. By 1891 John and Thomas were living with Alex in Beath, Fife and now ‘Knox’. The wives and children of John and Alex were all using the surname Knox in 1891, 1901, 1911 census. There must have been a very good reason for these two boys, the elder sons of Thomas to use ‘Knox’ (the maiden name of my GGGGrandmother Margaret) and lose ‘Law’ for those wilderness years! Their father died in 1872 so it is interesting to think they waited until after this event. More info is needed about the Irish history and way of life of Thomas, and his sons John and Alex prior to their return from Ireland about 1850. These lads may have had strong allegiance to their mother and preferred the Knox family. Census 1911, Thomas my GGF, wife Janet (Myles) and all children including my GF James 16 yrs, are still Knox. In 1920, James my GF, is now James Knox Law as seen on his Life membership certificate to the Royal Arch Chapter No. 97, the 'Mysteries' of Free Masonry in Kirkcaldy. *It must be noted that the Death of Alexander (brother of John my GGGF) was registered in the name of ‘LAW’ in 1907 and in 1900 when he Registered the Death of his son Samuel, who died at 5wks, he was Alexander Knox LAW on the death certificate and therefore the first to change back to LAW! Some of his children had their own agenda e.g. his son John married as John Law Knox in 1916 which was after Alex died and showed the preference for KNOX once again! A review of motives for the name change back to Law suggests a theory of War desertion, then pardon is plausible but I am still searching for evidence in the Law lineage. King George V did issue pardons in May 1910 for those serving short term sentences as part of a Nationwide clemency. I have had no luck in finding information regarding ‘desertion’ from the Crimea, Boer War or WW1 by Laws or Knox’s as yet but will keep researching these threads. The recent Theory Four above, stating Thomas (my GGF) deserted from an Indian war and married Janet Myles who was pregnant is now the strongest motive for name change to Knox and then reversion back to Law when pardons were granted. I am still seeking hard copy evidence of British Army soldiers who deserted about 1890 after fighting to keep the Indian rebels at bay on the NW frontier. Old Photographs – these are often a great source of information. I was lucky to find a photo of Thomas, my GGF and his sons James (my GF) and Thomas. I had the letters on the shoulder of Thomas’ uniform verified and he was in the Royal Army Medical Corp. RAMC in WW1 as he did not want to fight. The time period 1914-18 may be relevant for the Name change back to ‘Law’ for Thomas and my GF James but ‘Law’ was already being used by Alex as above. Thomas’s son John (not in photo) was said to be in the Seaforth Highlanders in WW1 and I am following a Medal Card Record to verify I have the right John! All soldiers who fought received a medal so it is a good route to explore. Many of the records in the National Archives were destroyed in the London blitz (1940-41) and often difficult to trace. It is still unclear where the newly widowed John was from 1874 -1881 but likely to be with one of his brothers. Thomas my GGF was using the name of Knox in 1891 census, married in the name of Knox in 1892 and his children born (e.g. my GF James) were all born ‘Knox’. Research proves the name change to Knox was confined to John, my GGGF, my GGF Thomas and his children e.g. my GF James and also to Alex and his family, the younger brother of John. Alex was the first to change! Knox was not used by all the other family members who were born in Dalry Scotland, it was confined to the x2 older boys. Their sister Ann changed name to ‘Poland’ when she married in 1870. The fact that the name change occurred after their father’s death in 1872 may hold significance as would more details of their lives when in Ireland. I will continue searching for answers. The latest Theory Four, stating my GGF Thomas deserted from an Indian war to marry Janet Myles who was pregnant would explain a reversion back to the name of Law by at least 1918 after pardons were granted or when it felt safe to do so. Other family I have now found strongly agree this is correct but there is no hard copy evidence of the date of war desertion to prove this. The Knox/Laws lived in uncertain times, including their period in Ireland and not all family shared the same beliefs. 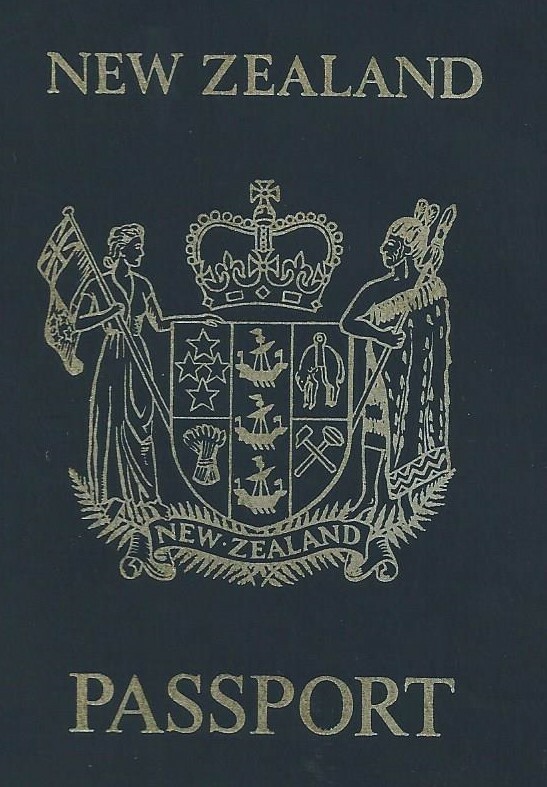 On current evidence, the family all used the surname 'Law' when they travelled to NZ in 1922. I have followed many routes in search of ‘evidence’ and often it is about the process of ‘exclusion’ and narrowing down the possibilities. I now understand the meaning of ‘brick walls’ but will not give up hope! My GF, James Myles Knox Law was born in Hill of Beath, Fife and also lived in Kirkcaldy Fife before he came to NZ as a single man, aged approximately 27 years in 1922 on the Pakeha steam ship. He joined his family on the voyage, including his mother and father, Janet Myles and Thomas Law. His three sisters, Margaret, Janet and Christina were on another ship however, the Athenic, which left a week earlier. There were more children but 2 or 3 died in Scotland including Willie, Annie/Susan. Child mortality was a very common problem and diseases such as scarlet fever, measles, TB meningitis took children very young. It was Thomas, my GF’s father, who followed his sister, Margaret to Dunedin, NZ in search of a new life for his family. It was the roaring 20’s, the time between the Great War and the Depression and NZ was coming of age. Govt. posters were enticing people to come to the land of paradise!! I also know from new family feedback, that John (the eldest son of Thomas) wanted to go to NZ and contacted the Gardners. He was newly married with a young child and was no doubt looking for new opportunities and a better way of life. Margaret (Thomas's sister) and her husband's family the Gardners, helped sponsor them all to come and in many ways Margaret was the true pioneer of the Law family as she took the plunge first to travel to the New World and a new life! She suffered a traumatic early life, lost her mother when 2yrs old, had to live with her Uncle William and Samuel and then worked as a domestic servant. At 19yrs she gave birth illegitimately to her daughter Janet, no father named on the birth certificate! She married Robert Gardner in Avonhead, Scotland before coming to NZ, although I am still seeking more evidence of the marriage. Robert was a tinsmith and his death certificate states he died in Dunedin age 58 yrs in 1928 and had spent 17 years in NZ. 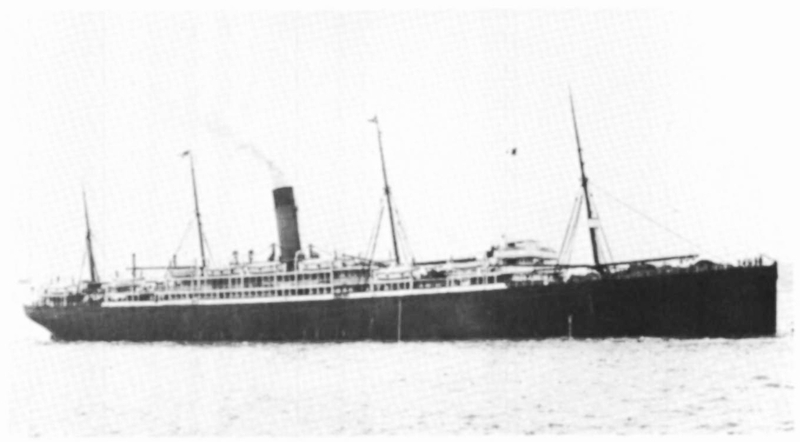 They emigrated separately and according to Passenger Lists, it is likely Margaret left on the 19 December 1912 aboard the 'Remuera' steam ship from the Port of London bound for Wellington with 3-4 of her children, John 17, Robert 10 and Thomas 8 yrs, Margaret listed separately. Her other x2 daughters, Janet and Annie came together on the 'Surrey' from Liverpool to Wellington in December 2010. I believe Robert Gardner (Margaret Law's husband) was already in New Zealand. They lived in 642 George St, 1923-24, 9 Main Ave. St Kilda 1925-26 and Robert lived in 238 Bay View Rd, South Dunedin 1927-28 (JJ Hellyer's house) after Margaret died. She died at only 53 years of age from bronchopneumonia and heart failure in 1926 in Dunedin and is buried in a large family plot. Her x6 children, all lived and died in NZ apart from Thomas who died in Australia. Janet (illegitimate) married David Crawford and died aged 92 yrs. It was noted at the time that immigrants wrote Letters back home to their families over exaggerating how good life was in NZ as they were desperately lonely and wanted more family around them. This could certainly have been the case for Margaret Law (Gardner) although her brother and large family had their own good reasons also. Scotland and life down the mines was hard. With the revival of assisted immigration, more than 120,000 migrants arrived from the UK between 1919 and 1930, including 13,000 ex-servicemen and their families. The NZ Govt. was also running the Overseas Settlement Scheme from 1919 - 1922 as so many NZ men had been lost in WW1. Economic uncertainty meant New Zealand wasn’t always a promised land and these new arrivals were not always welcomed by locals. The 'Laws' paid their own way (passages) but had very little money or possessions when they arrived but somehow made their way in Dunedin. They loved music and often enjoyed a get together on a Sunday for a family concert which probably helped to keep their spirits up. Thomas (GGF) came with all the family to NZ, apart from x3 daughters, Christina, Janet and Margaret aged, 25, 22, 20 yrs who sailed a week earlier on another ship, the 'Athenic' from Southampton to Wellington. There were approx. 13 people as above who all landed in Wellington but settled in Dunedin. I was told that they were not all going to come originally which probably explains why the entries in the Passenger Lists are not altogether. Thomas was a travelling Insurance agent in NZ and died in 1926 from acute alcoholism in Wellington hospital, after only 4 years in NZ. He is buried in Anderson’s Bay cemetery, Dunedin. Photos reveal a worried looking, wide eyed man and knowing some of the hardships he faced in Scotland due to his illegitimacy, family Name changing, providing for his very large family, working in the coal mines, may have left him a deeply troubled person a lot of the time. He drank, in fact family have confirmed he was a binging alcoholic, not religious but when sober was said to have made the family go to church. Religion and the untimely death of one of the children was also said to have caused a family rift. My GGGF, John was born in Co. Antrim Ireland and more research is needed to trace his birth and that of his mother and father, Thomas Law and Margaret Knox. He was the eldest son and returned to Dalry, Ayrshire in Scotland about 1850, with his mother, father, sister Ann, brother Alexander and was 7yrs old in 1851, the first known Scottish census records of the family. They first lived in Peesweep Row but he was in Old Row, Dalry in 1861, 17yrs old and an ironstone miner. Ten years later, in 1871, John married Janet Jamieson in Kilsyth after first having their illegitimate child Thomas in 1870, Margaret in 1872 and Alexander in January 1874. He lived in several places, Kilsyth, Kirkcaldy, Dumbarton, Hill of Beath, Fife so moved about particularly after Janet died in 1874. Further Back the Plot Thickens! Life was tough, there may well have been famine due to the plight of the Irish potato so Scotland may have looked more attractive. His father had also died. Thomas was a miner and died in 1872 at 9 Twechar Row, Kirkintillock, Dumbarton Scotland close to where his sons William and Alex lived. My GF James and his father Thomas GGF ended up in Fife, East Scotland, Hill of Beath, in the mines, a very long way from Dalry, Ayrshire when the Laws first returned from Ireland. All the men suffered and died of lung related and heart problems, Thomas Law GGGGF died 1872, aged about 51 years of bronchitis, John Law GGGF 1899, aged 55 of phthisis, progressive enfeeblement and TB related lung disease, Thomas Law GGF 1926, aged 58 of acute alcoholism, cardiac failure, James Myles Knox Law GF, 1951, aged 56 of coronary thrombosis, congestive heart failure, asthma, chronic bronchitis and emphysema. I was struck by the early deaths of some of the wives which often preceded the men. Due to the lack of birth control, it was a miracle how they managed to accommodate, feed and clothe their large families. The older children had to help the younger ones and children did not remain ‘scholars’ for long - 1861 Census shows sons could be working in the coal mines by the age of 12yrs and even in 1911, daughters worked in the woollen mills or were linen weaving at 14yrs. Janet Jamieson, my GGGM died tragically of Tabes mesenterica, TB from milk, in November 1874 at Backbrae Kilsyth, aged 22yrs, leaving x3 children, Thomas aged 4yrs, Margaret aged 2yrs and Alexander 10 months. Margaret Knox my GGGGM died of Pulmonary consumption in 1863 only 38yrs leaving a large family of x7 children, the youngest being Susanna, an infant 5 yrs old and her husband, Thomas approx. 41yrs. The nature of the deaths, particularly the lung and heart conditions suggests their quality of life and living conditions were harsh and cold. As the women were often pregnant, the constant onslaught to their bodies and immune systems took its toll at an early age. The infant mortality rate was high but families were normally large e.g. my GF had x5 children, my GGF x13, my GGGF x3 (wife died at 22yrs), my GGGGF x10. Many woman also tragically lost Infants during the long sea voyages to the New World. Janet Myles, my GGM and Thomas Law who came to NZ had already lost x2-3 children. Margaret Knox my GGGGM had lost x3 children. This journey to uncover the story of the ‘Law’ family has taken me from the Kingdom of Fife on the east of Scotland, across to Ayrshire on the west, to Ireland and back to NZ in the hunt for ancestors and clues as to name changes. It has allowed me a glimpse into their lives, the places they lived, the hardships they faced and enabled me to meet and discover other relatives I never knew I had! Considering I knew very little of my ancestry when I began this journey I am now totally hooked and will not give up. Was my ancestral surname Law or Knox or something else?! Actually it was both!! I believe we were originally Laws but still feel oddly Lawless and will keep searching in the wilderness years for more evidence as to the Name changes and update these pages. See Ancestral Journey in Scotland 'Law' Family - the history and places where the Laws lived, worked and died. Beginning when the Laws' returned from Ireland to Dalry, Scotland about 1850 and ending in Kirkcaldy, Fife, their last known address before they left for New Zealand in 1922.